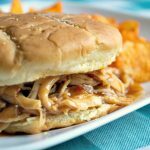 Crock-Pot Honey BBQ Chicken Sandwiches are a tangy, saucy way to eat a pulled chicken sandwich while cooking in the crock makes it a breeze to make. 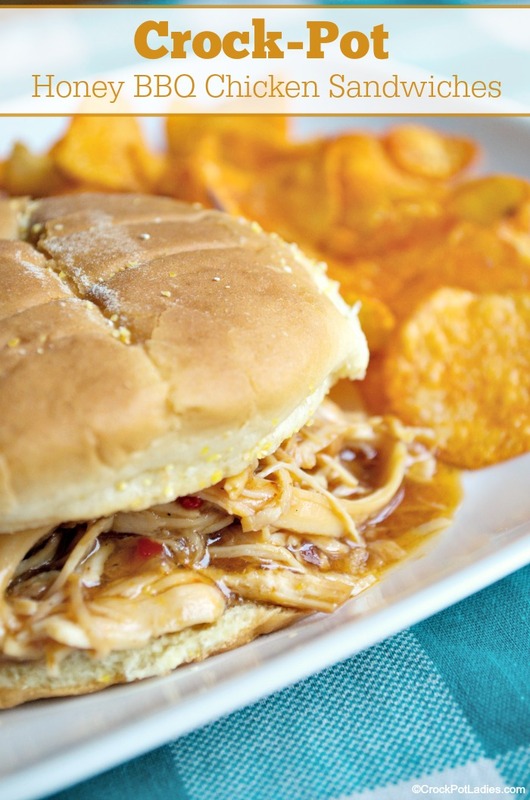 This recipe for Crock-Pot Honey BBQ Chicken Sandwiches is included in our new 10 Crock-Pot Easy Freezer Meals. If you are coming to this page first and are interested in doing freezer meals, start here. This recipe does NOT have to be frozen first, if you are wanting to do this recipe by itself, then stay on this page and we will go from here. We, of course, couldn’t do a 10 freezer meal without some kind of pulled meat recipe. They’re so easy to do and yet so tasty and seem harder then they look. 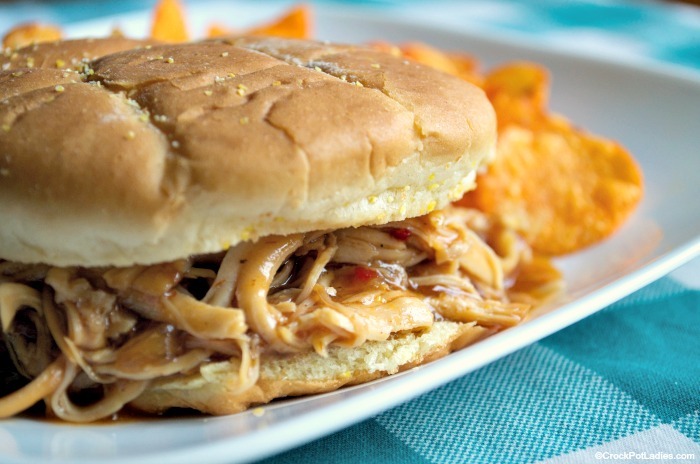 This one is sweet yet tangy and the Italian dressing brings on a fun twist to a BBQ Pulled Chicken Sandwich. The big thing I do with my freezer meals is I purchase fresh meat, so that it doesn’t dry out by being repeatedly frozen. If you are not doing the freezer meal portion, it won’t matter. This recipe could also be done with using similar pork or beef cuts and sauce amounts as well. Thus why slow cookers are so versatile! My family quite enjoyed the sandwiches and we ate them for several days. I purchase premiums buns to make the meal look like I had put a lot of effort into that meal. One other thing… I enjoy doing with big batches of pulled chicken/pork/beef is cook it up, and freeze part of it for later meals. This dump and go recipe is super easy to make and tastes fabulous served on your favorite rolls, buns or in a wrap. Best of all it can also be made into a slow cooker freezer meal! Spray 6 quart slow cooker with non-stick cooking spray OR line with a slow cooker liner to make clean up easier. Lay chicken breasts in the bottom of slow cooker. In a medium mixing bowl mix together 1 bottle of BBQ sauce, onion, Italian salad dressing, brown sugar and Worcestershire sauce. Pour BBQ sauce mixture over chicken in slow cooker. Remove cooked chicken breasts from the slow cooker and shred the meat with two forks. Add the shredded chicken back into the slow cooker and toss to coat in the sauce. Serve chicken on buns or rolls (gluten free if you are on a GF diet) and enjoy! Place all ingredients in a gallon sized zippered freezer bag and squish the bag contents to combine well. Place bag flat on counter and seal bag while pressing out excess air. Label bag with date, name of recipe, ingredients and cooking instructions. Place bag in freezer for up to 6 months. When ready to cook: Place bag in refrigerator overnight OR place in the kitchen sink filled with cool water for several hours until the contents of the bag are partially thawed and can easily be dumped into your slow cooker. 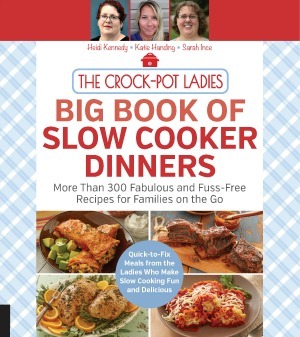 Spray or line slow cooker, dump contents of bag into slow cooker. Cover and cook on LOW for 7 to 9 hours from the partially thawed state. Nutrition Notes: This recipe can easily be made gluten free if you use gluten free brands of BBQ sauce, Italian salad dressing, Worcestershire sauce and serve on GF hamburger buns. Additional, the nutritional information is calculated for just the meat and sauce and does not include whatever sort of bun, roll or wrap you may decide to use.